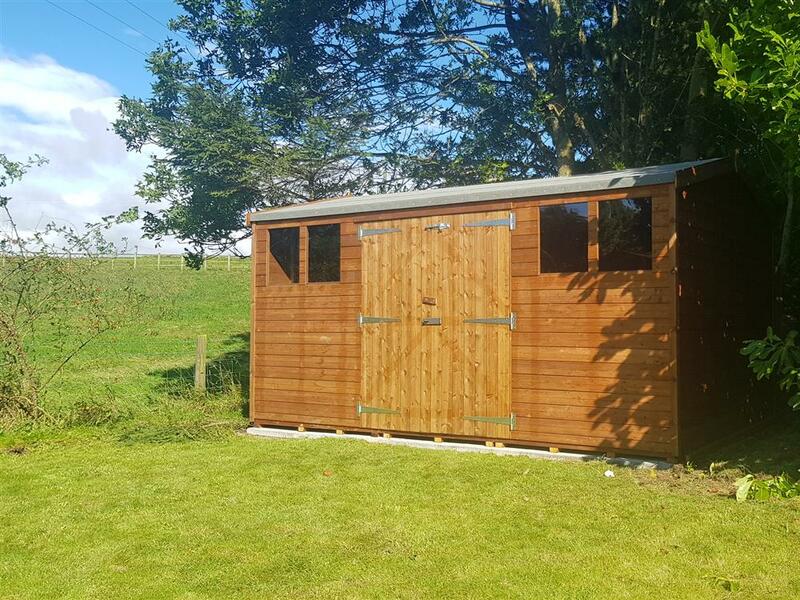 Hipex Sheds are Ideal for: General purpose, medium duty, outdoor storage with plenty of headroom! Our Hi-Pex range of sheds are 4" higher than our other sheds which allows for the door to be in the lower side and provides much more shed space! These sheds are hand made to order, and are constructed from timber which is treated (free of charge) on our premises. 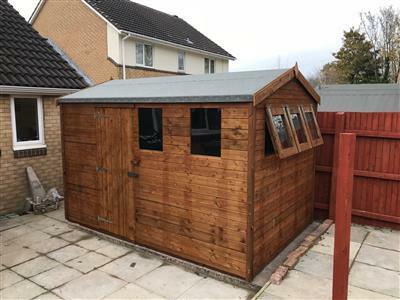 Standard 38mm x 50mm planed framework is used throughout, making this shed extremely durable and sturdy. 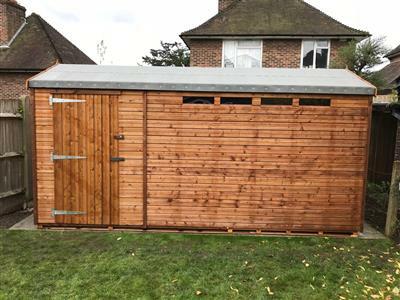 The cladding is 16mm planed tongue and groove timber (finish 12mm approx), which altogether makes this an excellent and affordable solution for all your general purpose garden storage needs. 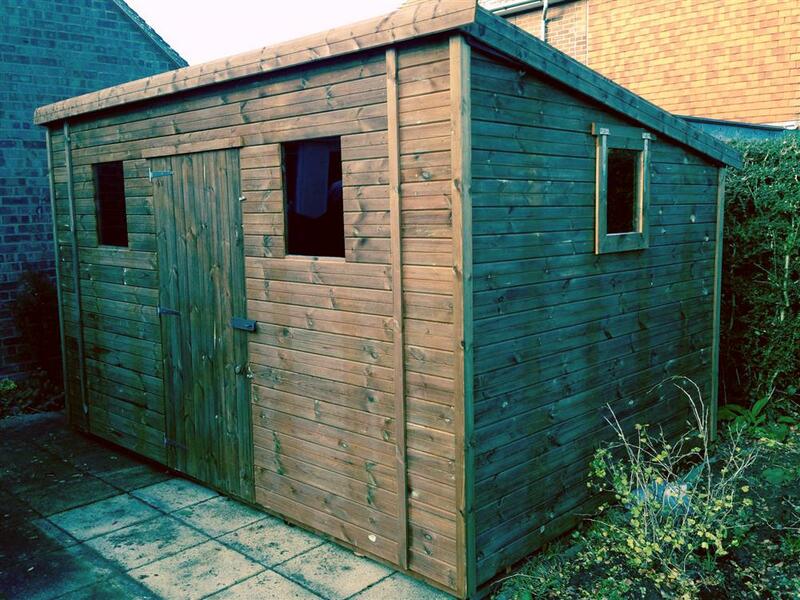 Don't forget, you can change any part of your shed, we've just started you off with the typical Hipex Shed set-up! The felt is too thin and will need replacing. I would reccomend Beast sheds to anyone, good quality and great service. 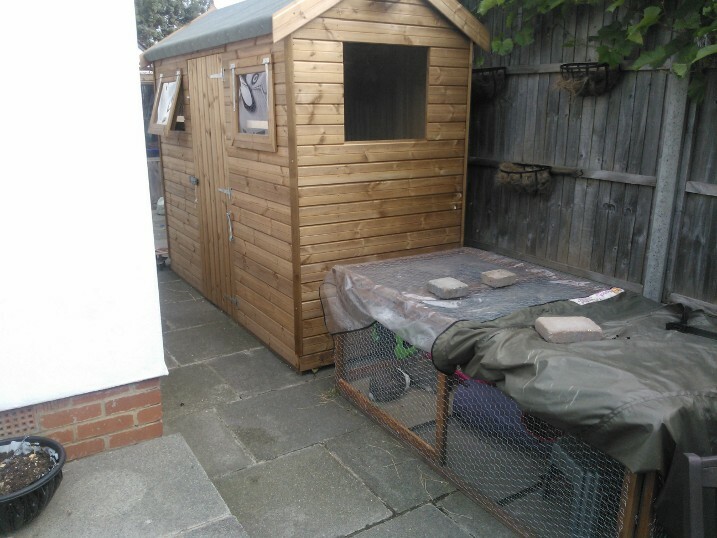 I took 3 months looking for a well made shed at a reasonable price. Many of the makers were cheaper mass produced sheds of poor quality, while other manufacturers could not be contacted even with email addresses and phone numbers. I came across the reviews for Easy Shed and on investigation I could not find any better shed for the price. The ordering on line was clear and simple to use. And the shed is of the highest quality! The quality and robustness of the build. That I didn't order an even bigger one! Can't beat Easy Shed for sheds! This is an excellent shed in most aspects. Well built and quickly erected by your efficient team. It is now dedicated to storing pot sherds and other archaeology stuff, bringing order to what was chaos. cheap thin perspex for windows, why not glass? Easyshed have a very user friendly ordering process allowing me to design a shed to my own specifications. Brilliant delivery and installation service and a great product. Very happy! We purchased this shed, with a little apprehension as it was quite a lot of money to pay out for something that we hadn't seen, but we were soon reassured. We got a phone call the following day to check the order and confirm one or two things. We were then given a delivery schedule, then an email to confirm all this. The delivery guys were very professional and did a great job of erecting the shed. They even gave me some advise about a tree that was very close to the shed. All in all a very good purchase from a very good company! The size is brilliant, does what it says on the tin! Nothing that I can think of to fill up 15 words! Very good, well worth the money. 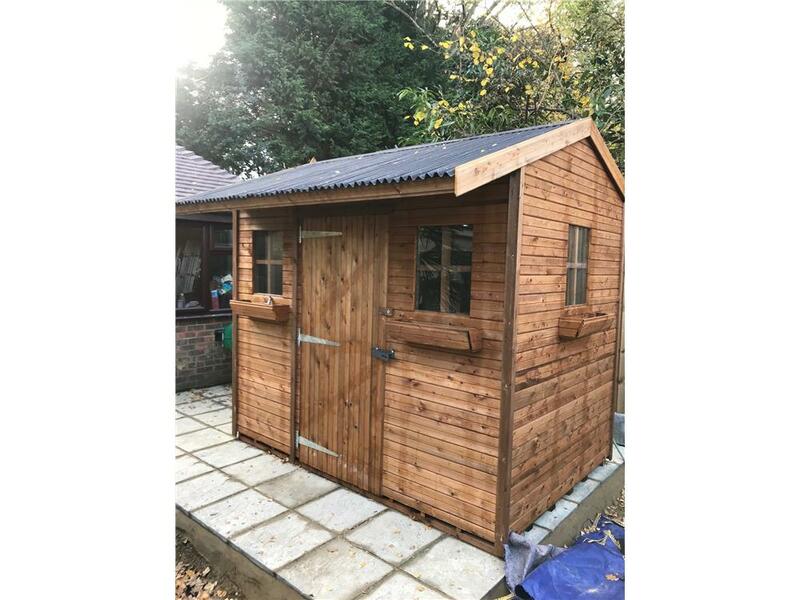 Brilliantly Easy experience purchasing this Easy shed.There is so much choice in the layout,then the framework and even a choice with the wood. Polite and professional staff built and erected the shed quickly, eliminating any stress I was feeling. I would thoroughly recommend Easy Shed. A great shed, fantastic value for money, they guys did a brilliant job installing it - very happy. Faultless service- the shed arrived the next week! 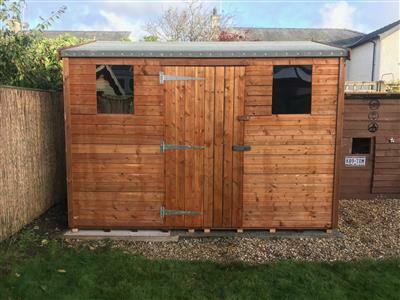 I am so impressed with this company, having tried to order the same shed from elsewhere(which was a disaster!). I am pleased with the shed. The lads were very helpful. Thanks. Can't rate this company high enough! Top quality shed, feels really sturdy. I'd say go for Tanalised wood as it'll make your life easier saves you treating it every year! Regarding price, I did a lot of checking around and you might save a few quid on a shed the same size, but you won?t get the same quality and you certainly don?t get free delivery AND fitting from anyone else! 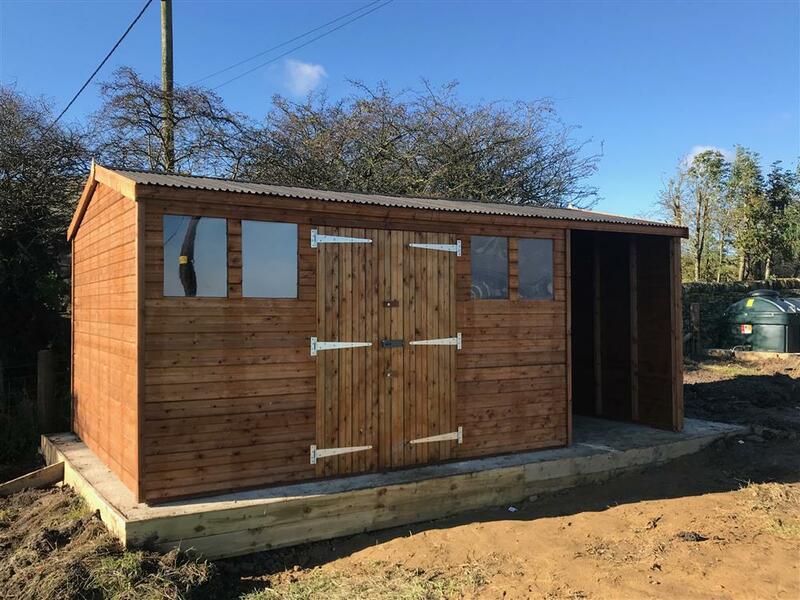 Smashing shed - well finished & built - have recommended to others already !!!! Very happy with my shed!